COMPLETE FITTING SERVICE - WE OFFER A FREE MEASURE AND QUOTATION SO FEEL FREE TO CALL US NOW TO ARRANGE A SUITABLE APPOINTMENT. Your garden is there to enjoy to the full, and what better way to create extra usable space than a garden deck? Whether sitting and relaxing over a glass of wine after a hard days work or entertaining your friends, our range of garden decking offers untold opportunities to make your own statement, whilst perhaps utlising an area of your garden you may have easily overlooked. 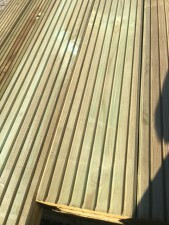 Decking is a beautiful way to extend your living space.